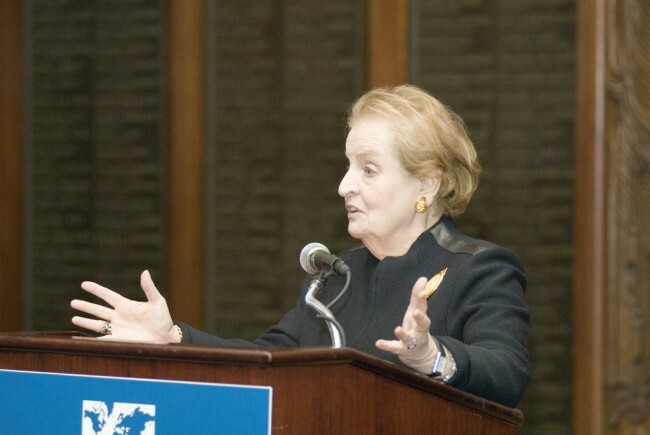 According to NBC News, Albright has spoken out in staunch opposition to Bernie Sanders’ foreign policy plans. She said she was very surprised at Sanders’ responses to questions about foreign policy during the Democratic debate. Sanders had cited the fact that he did not vote for the Iraq war and Clinton did as evidence that he has better judgment than his opponent. Albright says one vote should not discredit Clinton’s years of experience as secretary of state from 2009-13. “One vote isn’t really a strategy,” she remarked, continuing to state that in her opinion Sanders gave unsatisfactory answers during the debate. Albright is highly supportive of Clinton’s wide range of experience in politics, saying, “What makes Secretary Clinton so remarkable is her relationship with both domestic and foreign policy.” The first female secretary of state has stressed the immediate need for a president who is prepared to handle a lot of issues, saying, “I have never seen such a complicated international situation, and we can’t afford [to have] learning on the job.” She slammed Sanders for his lack of experience in foreign policy, saying that Clinton gave better answers overall during the debates. She detailed which countries were a threat and what their relationship was to each other, as well as those the United States needs to pay attention to.